Animals exist in a large diversity of forms with each having evolved morphological and functional traits that enhance their survival and reproduction. In this course we will look at animals across the board from lowly worms and insects to whales and primates. You will learn how the different animals relate to each other in the tree of life and how physiological, morphological and behavioural adaptations have evolved since the first complex cells appeared around 1.5 billion years ago. In the first few sessions we cover basic zoology by studying the animal cell, the theory of evolution by natural selection, the development of the basic animal body plan and animal classification and taxonomy. In the remainder of the course , you will get an overview of the physiology, morphology, behaviour and natural history of each of the major animal groups starting with the most primitive inverterbrates and finishing with the mammals. Towards, the end of the course we will visit the world-renowned Oxford University Museum of Natural History to get a practical insight into the fascinating disversity and adaptations found in a range of different groups. Thomas is a zoologist who has studied spiders, insects and worms for more than 15 years in both temperate and tropical climates. In addition to his teaching for OUDCE, he is a lecturer in biological sciences at St. Anne's College. To explore the diversity of animals found on Earth and to develop an understanding of how the anatomy and natural history of the different species relate to each other and have been shaped by evolution. 1. To get an overview of the diversity of animals groups and understanding basic concepts of taxanomy and animal classification. 2. To get an introduction to the different disciplines within zoology including cell biology, genetics and evolution. 3. To understand how the anatomy, morphology and behaviour of different animal groups are shaped by evolutionary pressures and constraints. 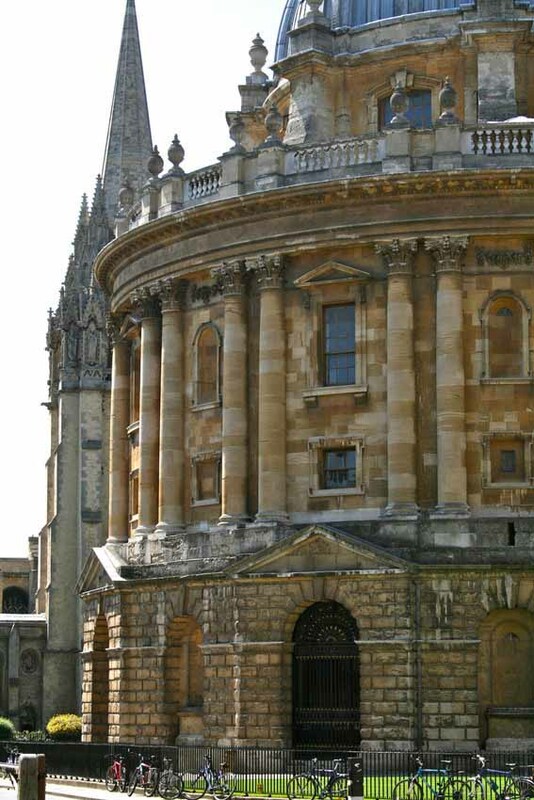 The course objectives will be taught via lectures, discussions of published research, and small practical activities including a visit to the Oxford University Natural History Museum. Each weekly class will consist of lectures followed by, or interspersed with interactive sessions. The learning environment will be informal allowing students to ask questions throughout the lectures. 1. Have a basic understanding of cell biology, genetics, evolution and animal development. 2. Appreciate the diversity of animal forms and understand how their morphology and anatomy have been shaped by evolution and be familiar with animal classification and phylogenetic trees. 3. Understand the scientific method and be able to read and understand scientific research papers in zoology. The assessment will consists of a portfolio of two short-answer assignments and a mini-essay (Option A). The first short-answer assignment will be handed out at the end of week 4 and will consist of 8 questions on the topics covered in weeks 1-4. Similarly, the second short-answer assignment will consists of 8 questions on the topics covered in weeks 5-8. For the mini-essay, the students will be asked to write a short essay (up to 1000 words) on the systematics and general characteristics from an evolutionary viewpoint of a taxonomic group or a single species of the student's choice. The essay is expected to include at least one reference to a scientific paper. In addition, students can submit an optional outline of their essay (500 words) in week 6 and get feedback within a week.